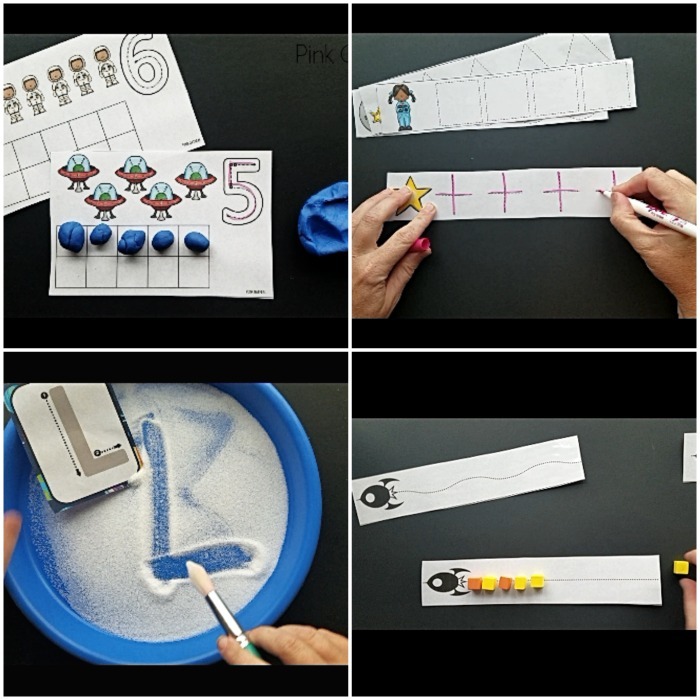 Space themed gross motor and fine motor activities. 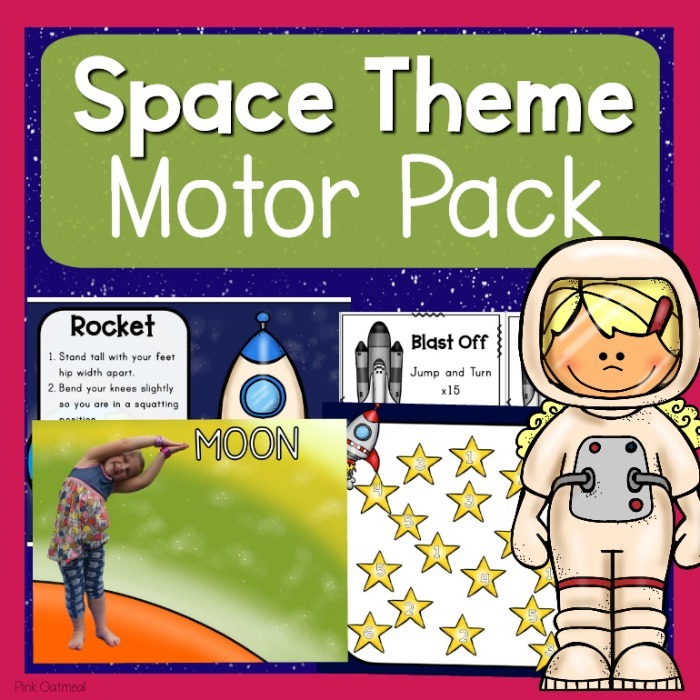 This pack includes everything you will need to make motor planning fun with a space theme. 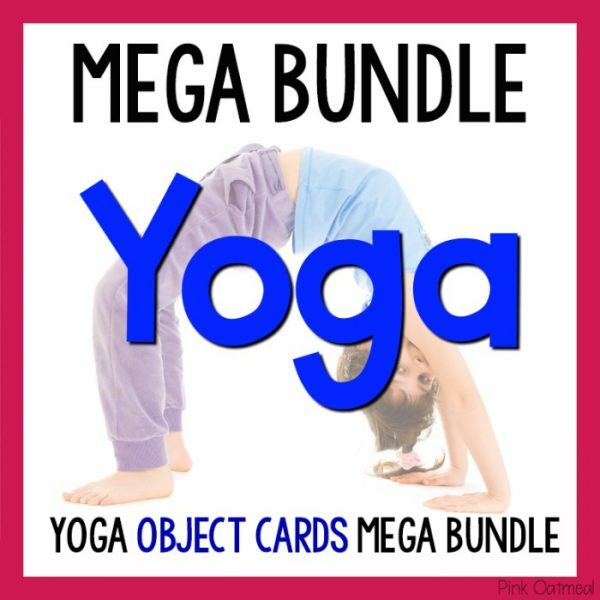 When you purchase this pack you are saving money buy buying in a bundle. 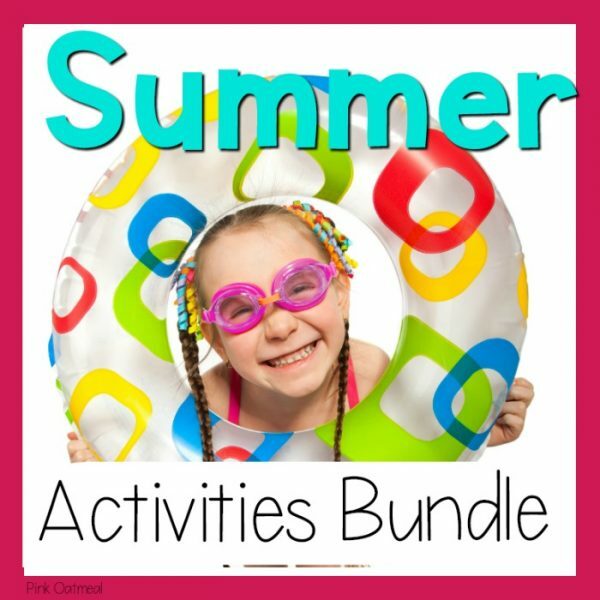 With your purchase you will receive downloadable PDF files. You will not receive a physical product. Read more below. The Space Theme Movement Motor consists of fine motor activities and gross motor activities with a Space Theme. 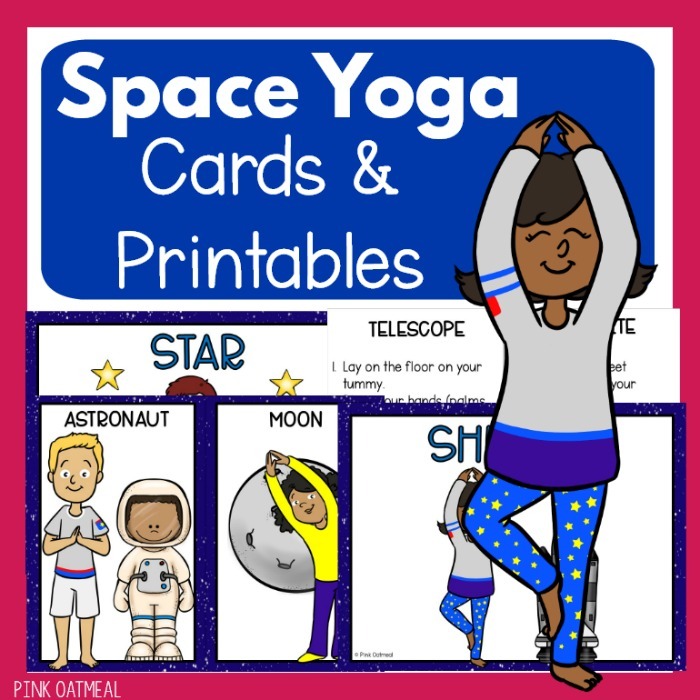 Think about how great it would feel to have all of your space themed fine motor and gross motor activities created and ready to use! 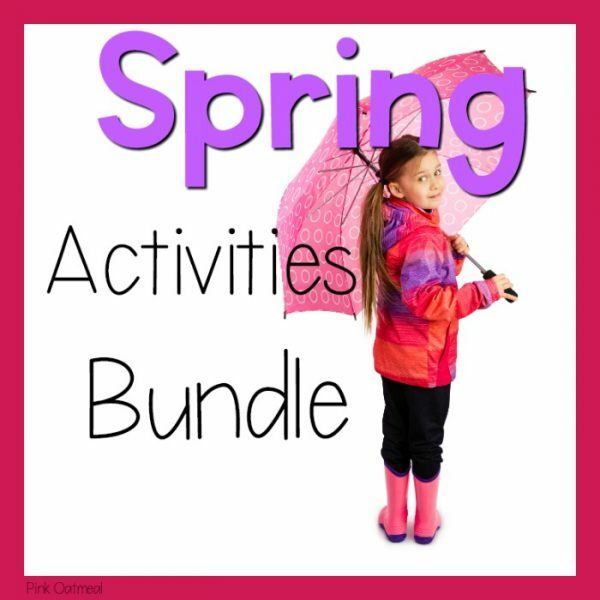 Not only would you have it all, but you could feel confident knowing that your kids are having fun with physical activity, gross motor, and movement activities! 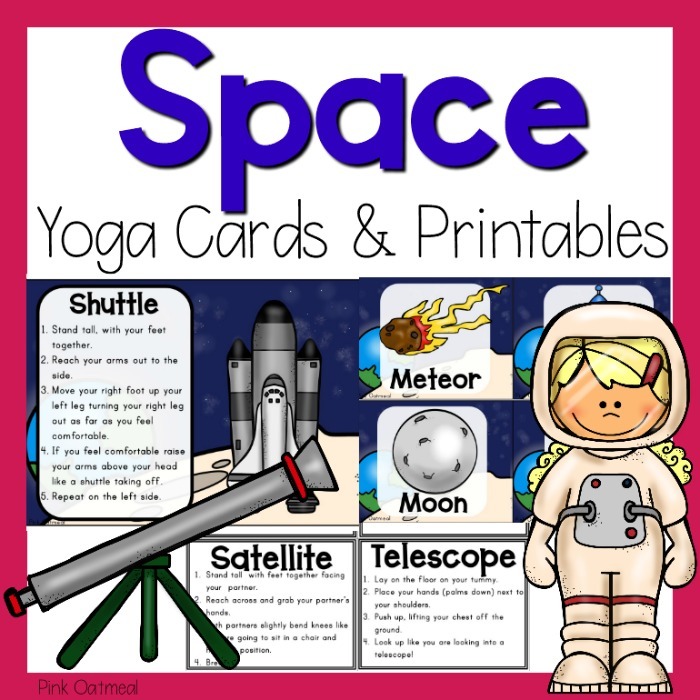 You will have activities for a space theme that you and your kids love. 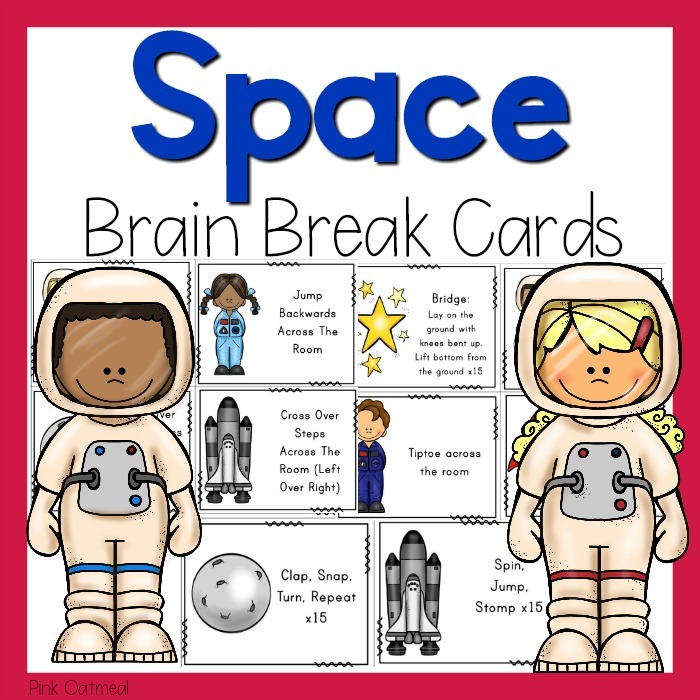 This pack includes 4 sets of cards and printables designed with movement in mind and a fine motor pack of space themed activities consisting of 10 different fine motor activities. 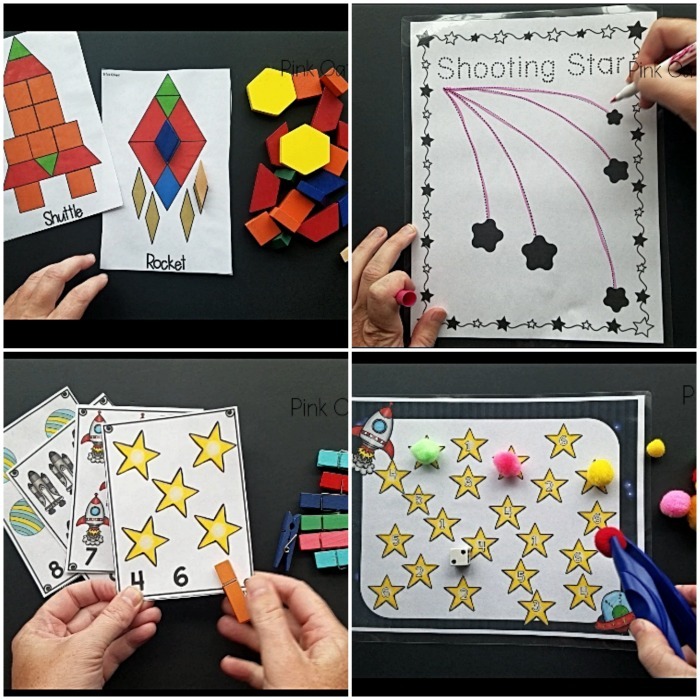 Please click on each individual product to see a full preview.